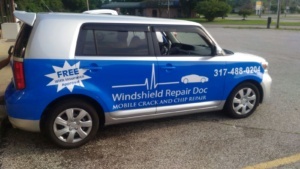 Call Windshield Repair Doc today! Best Prices, Best Repairs! All repairs include our Lifetime Warranty and our convenient Mobile Service! Why Choose Windshield Repair Doc? 1- For starters we’re pretty great at what we do and everybody LOVES US! Read our reviews here! 2- Unlike our competitors, we do NOT replace windshields. What does this mean for you? Our repairs are made to last. If your repair ever cracks out, we’ll refund your repair cost – NO-we don’t make more money off of you by refunding your money towards your cost of a new windshield as a result of a poor repair job! 3- We Come to You! 4- We are a registered affiliate of most auto insurance companies nationwide and we work with them in order to help you. No deductible and no rate increase! Same high quality repairs! Read more about our FREE with Insurance Option here. Please Note: Windshield Repair Doc does NOT provide windshield replacement service. We specialize in one thing and we do it well: Fixing Windshield Chips! We’ll fix your windshield chip BEFORE it cracks out which will save you money! Our goal is to repair your windshield so you don’t need a replacement! We are so confident in our work that we offer our Lifetime Warranty on every repair. So, get that chip fixed today and save your windshield! It only takes about 20 minutes and we come to you!